As we head into 2019, we’re reflecting on 2018 and on ourselves. And here’s our conclusion: it’s an extraordinary time to be a marketer. We’re seeing brands engage with their audiences in new ways, taking different paths to cut through the ever more crowded media landscape. At Rewards Come True, as part of the iGoDirect Group, we’ve always valued innovation in the industry. We’ve built ourselves around chasing it, not just adapting to it. We think it’s that desire to never settle and to constantly be on the lookout for what could be that’s put us where we are today. We have worked hard over these 20 years to ever evolve the way brands engage with their customers — to work with our clients to solve business problems as the needs rose to solve the challenges. To use the right technology. Or, if the technology to solve the problem wasn’t there yet, to build or transport it ourselves. When iGoDirect opened its doors last century, phones were used to make telephone calls… That was about it. They weren’t particularly portable. And we weren’t bombarded with brands the moment we progressed past the lock screen, owing in no small part to the fact that there was no lock screen or screen to begin with. Consumers had brands that they were loyal to, and find and keeping customers was less of a challenge. You needed to be in the White Pages, not on the front page of Google. We’d like to think that in the digital revolution, we weren’t just able to adapt, we were able to lead. And we continue to do so. If you don’t hear our name much, in some ways, that means we’ve done our jobs well. Like the intel processor that sits behind the effective running of a computer, we too have been an engine room — an engine room behind promotions & loyalty programs, chosen by over 2,000 of Australia’s leading brands and agencies. Companies like ANZ, Panasonic and Hoyts. Our clients get to come up with the creative ideas, and we’re the team that makes it happen, headache free. In the 90s, our CEO Pat Dalton saw the data-driven marketing sectors were stalling and not embracing what some of us knew was the future — what is today known as “big data”. We were the first to introduce clients audience segmentation, and the results organically grew our business. But iGoDirect was built around a no-complacency policy. So naturally, it wasn’t long before the next ‘first’. It was in 2004 that we discovered the power of branded prepaid cards. They’d seen strong results in foreign markets. But the Australian market was behind — nobody had applied them here yet. We saw the opportunity and adapted them to our local consumers — being the first company to do so. When we applied them to the Australian marketplace, we saw our clients’ campaign response rates double. Out of this, Rewards Come True was born. And of course, it made sense; the power of our reward is not rocket science. We all want a little extra cash. We discovered reward cards were perfect for whatever behaviour clients wanted to encourage. Whether it be swapping from direct mail billing to direct debit, incentivising repeat purchase, or encouraging a higher purchase, a trigger can be set and rewards can be automated through your CRM system. We’re advocates of doing things differently – we question the why and work with brands to find better, more intuitive and innovative ways to evolve their customers’ engagement. Now Rewards Come True has become a single touch point for marketers needing to get a promotion up within 48 hours. We’re leveraging exclusive Australian spend data to know things about your customers that they don’t even know themselves. Our data scientists are providing brands and their agencies the insights to drive their marketing dollar further and relying on us to improve media placement, spend and programmatic advertising which influences the channel and methods that consumers better engage with. And we’re delivering these bespoke solutions with service that 96% of our clients say is ‘excellent’, something we’re truly proud of. Running 3 or more promotions a day for over a decade has given our team an edge that we might never have imagined in the beginning. See, the nucleus of what we do at Rewards Come True is, naturally, provide rewards — it’s not just for our client’s customers and staff, but for your portfolio. We call it return-on-reward, because a reward given, becomes a reward returned. Reward is what we deal in, and for corporations like ANZ, ASUS and Latitude Financial, return-on-reward is what we deliver. But the way we reward people and clients has evolved over time. It might have started with a simple card or a direct mail strategy. But now it is all that and more. It’s a deeper relationship with consumers — built through technology and powerfully databases and insights. It’s customer journeys that understand where, how, and why they spend, and automate but never depersonalise. It’s integrating those offline conversations with those online ones and inspiring genuine loyalty that crosses the digital divide. When you need to get a better edge, improve your engagement and ROI on your consumer promotions, trade promotions, rewards & loyalty programs, with our world-leading technology platforms and team with true Australian Insights to drive your marketing decisions, reach out to our team. This article has been adapted from the speech that our CEO, Pat Dalton, gave at the 2018 B&T Awards of which we were the major sponsor. 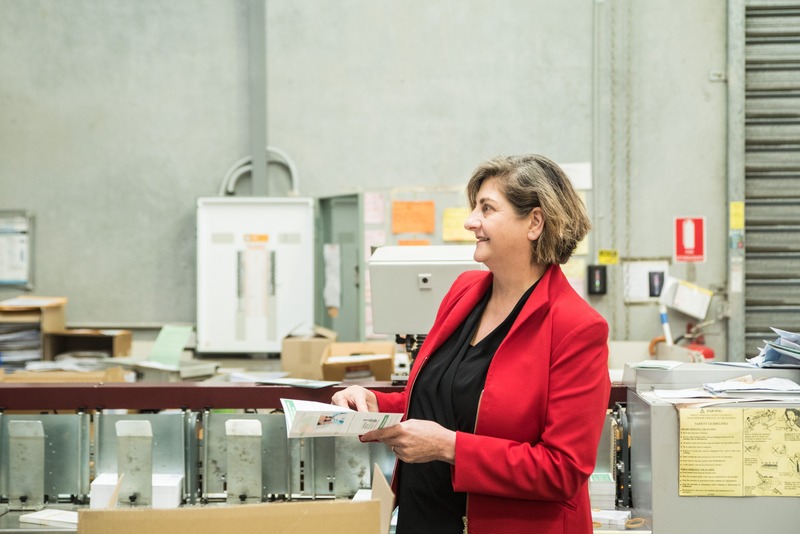 Pat has recently been shortlisted for the 2019 Telstra Business Women’s Awards — read more about her journey here. To read more about the event, check out our previous article about the awards we sponsored and why.